Jace and I saw it while we were on the airplane to Boston last week, and I thought it was very cool. 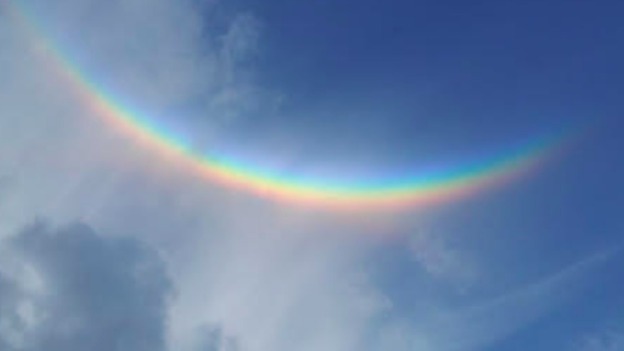 I've known, of course, that rainbows are full circles truncated by viewing angles and moisture conditions. Until last week, though, I'd never actually seen the bottom half of one before. The one we saw was almost a full semicircle. I'm sure it helped that we were up so high, with clouds below and above us. Wow! How cool. Is it possible to see a full circle if you're in the air?